You want to dress to impress? We get you, first impressions are important to everyone. Here are some fashion tips and tricks that will help you knock your cowboy or cowgirl date right off their feet. 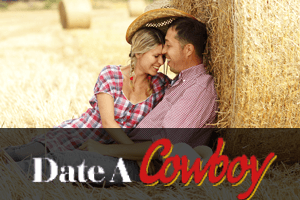 Are you going on a cowboy date but have no idea what to do or where to go? We understand it’s sometimes hard to get inspired, so we made a list of some of the cool date ideas for a country-styled date. 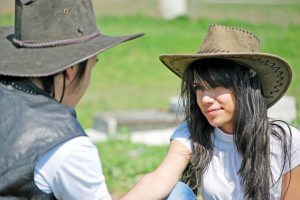 If your cowboy or cowgirl lives far away, you are probably wondering whether your relationship is destined to fail. Here are a few tricks that will help you keep your long-distance relationship alive. Life is tough for a cowgirl or a cowboy in the city, and dating is even tougher in this cruel, unfamiliar environment. Read about some common challenges that country folks face in these situations. 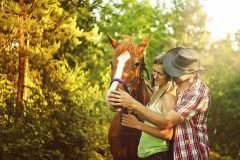 There are tons of cowboy dating sites out there, but only some of them are actually worthy of your time and effort. Read on and find out how to tell which of these sites is the right choice for you. 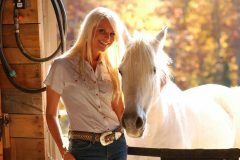 If you are really serious about cowboy dating and finding the perfect match, you need to make a darn good online profile! There are some rules to creating a perfect profile, so read on and find out.